This is a private event, by invite only. 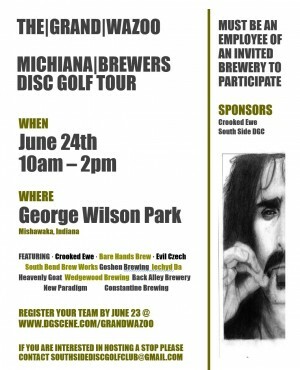 Here's the 1st stop of The Michiana Brewer's Disc Golf Tour. 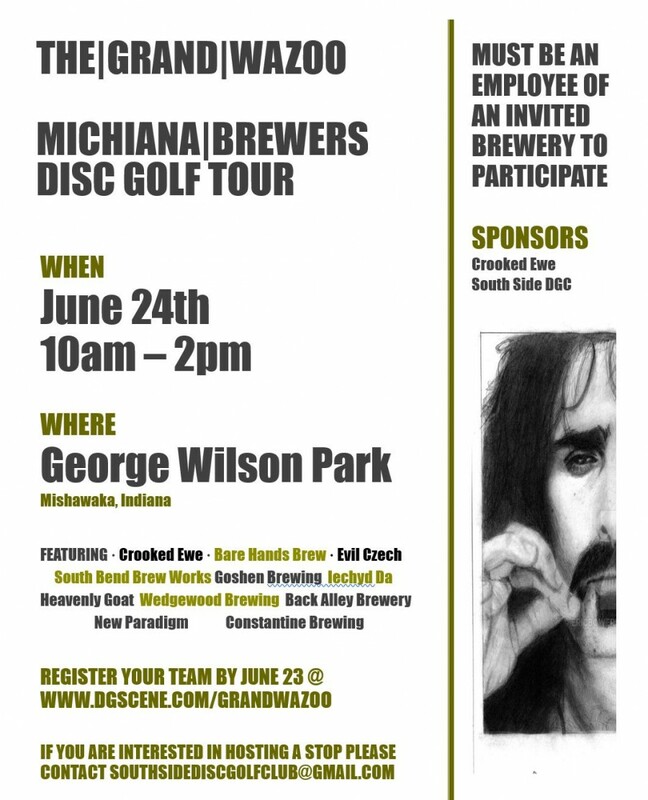 Michiana has some epic disc golf courses and even better breweries! Register your team of 4 players to battle it out at George Wilson Park on June 24th. Each team of 4 players will be split up and randomly placed on cards. Each player will then play 21 holes of singles disc golf. Once completed, scorecards will be turned in and the Tournament Director will calculate scores and take the best 3 scores from each team to determine overall team score. For instance, Team Gritty McDuff's has 4 players (A, B, C and D). Player A shoots an even 63, player B a 67, player C a 89 and player D a 59. The top 3 scores are 63,67 and 59. Overall score for Gritty McDuff's is 189. The winning team will be awarded the traveling 'Wazoo' and are encouraged to display the trophy at their respective brewery until the next event. Their will be payouts via South Side Disc Golf Club to the top 50% of teams and top 10% of individual players. Discs, towels, hats, bags etc. will be available. South Side is a local non-profit club that assists in hosting events as well as the upkeep and renovation of local courses. South Side Disc Golf Club is responsible for all refunds/cancelations.